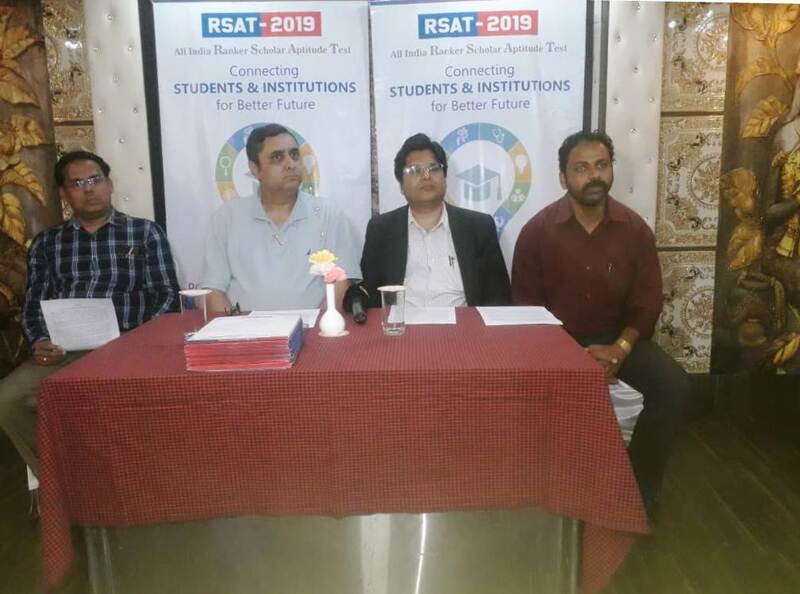 Bhubaneswar: In a bid to provide students a common platform to get admission in PAN India colleges as per their eligibility, ‘Rankers’ an e-learning organization with technical support from TCSiON announced its first ever online test– Ranker Scholarship Aptitude Test 2019 (RSAT) to be held on 24th March 2019 in nearly 100 examination centers covering Pan India in a press conference. Students can register for the exam in RSAT website – www.rankerslearning.com with a registration fee – Rs 500. Chhaya Ballav Sahoo, Founder & CEO, ManageMySkill, Chirag Joshi, Srikanth Kolla and Sujay Ray, Promoters, RSAT Pan India addressed the press conference. RSAT-2019 is an online computer-based scholarship test designed for +2 and Degree students looking forward to pursue UG & PG courses in various colleges and universities across the country. 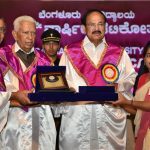 On the basis of the performance, the name of the meritorious and eligible students will be recommended to Self financed professional colleges, Universities and Institutions of India providing Merit Scholarship in the form of tuition fee concession to the students seeking admission into streams including Engineering & Technology, Agriculture, Science & Paramedical, Arts, Commerce & Business Administration and Business Management. The methodology, Syllabus and question paper pattern of RSAT 2019 are exactly similar to JEE (Main), NEET, CAT etc., following the standard procedures. The exact entrance examinations environment is stimulated giving a real feel to all the candidates and it will be a rehearsal to the students appearing for prominent Entrance Tests. The question papers are set by Eminent Academicians and experts from top ranked institutions in the country. Further, the students appearing for RSAT will be provided with a detailed analytical report giving insight about areas of concern to enable them to prepare new strategies for ensuring entrance examinations. Students can avail free access to learning materials of JEE (Main) / NEET in the respective website.